001. "This is the first Cute House of the Day post"
002. "I like to shoot at different angles and not always shoot straight on. I like to capture small details that reflect the owners of the house." 003. "This is the most popular Cute House of the Day. I am not sure why." 004. "When I travel, I try to find a cute house in the city I am. 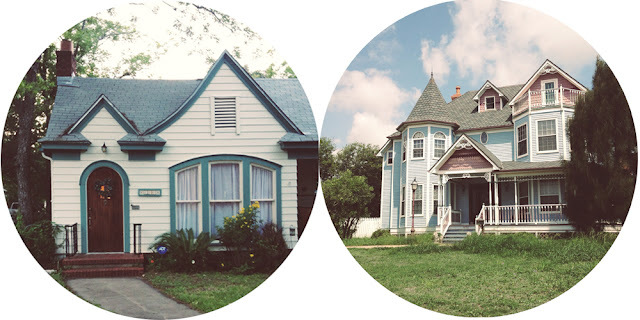 This is an old Victorian house from Corpus Christi, TX." 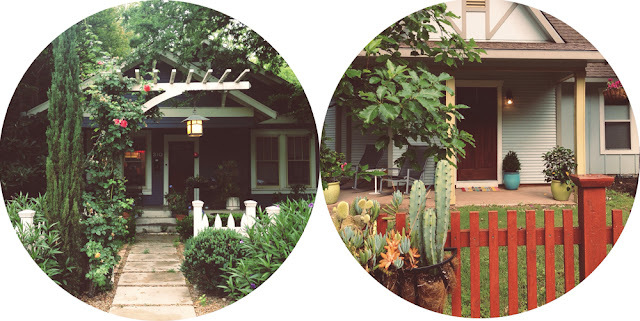 "The Cute House of the Day was formed with the idea of creating a photo project only viewable through social media. To be honest, I was wary about using my iPhone and Instagram as an outlet for photography. Especially since these are seen as contributing to the death of photojournalism. I've quickly discovered that I should be embracing technology and using social media as a creative outlet. For this project, I take photos of houses that I come across. Its simple and focused on my neighborhood. All photos are taken on my iPhone 4s, edited with Afterlight, and I post them on Instagram, Twitter and Tumblr. I live in the Hyde Park neighborhood of Austin and my goal is to capture the uniqueness of Hyde Park and its residents, whose personality is often reflected by their homes. I would like to expand to other neighborhoods in the city and eventually cute houses that I find while traveling." 1 // Tell me about your favorite house to photograph and why. My favorite house to photograph would have to be the first house I ever posted on 43rd St. It is my favorite because I think it embodies the personality of the neighborhood I live in. Since I've moved into this neighborhood, I've always had eyes on this cute little house. 2 // How about your favorite non-house object to photograph? My favorite non-house object to photograph is my little kitty, Miso Chen! She has such human-like traits and is so fun to photograph, not to mention, super adorable! Our blog, Miso and Tofu, is named after her. 3 // Last, but not least, what is something you love to nosh on? Favorite food... most difficult question ever! Asian food is always my favorite. These days, I am eating a lot of Japanese and Korean cuisine! Definitely pop on over to her blog www.misoandtofu.com to see more of these lovely homes and learn more about her project!